The beautiful three drawer Baxter Chest by British furniture designer, Robert Langford, will sit perfectly in any scheme from classic Deco, Mid-Century Modern and contemporary Industrial. 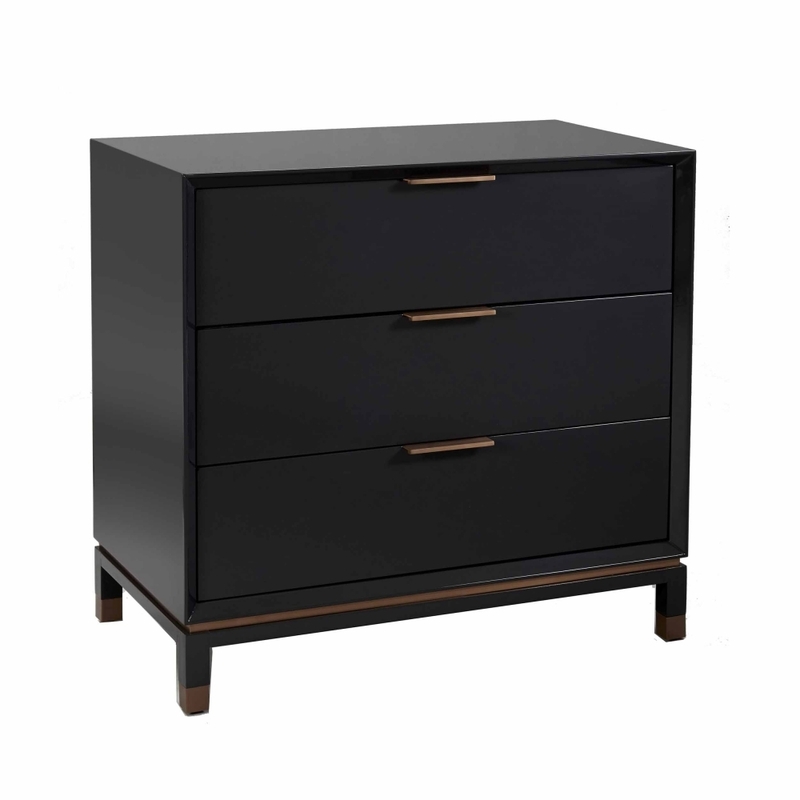 The exquisite lacquered finish, lined drawer bases, elegant brass handles and trim simply ooze understated elegance making the Baxter Chest a perfect choice for a luxurious bedroom suite. Why not style as a statement piece to fit in a contrasting, up lit brick alcove or industrial stairwell softened with lush green planting. Or create a sideboard effect with a couple of Baxter Chests side-by-side in a study, office or contemporary dining room.